We supply an extensive array of janitorial and commercial cleaning solutions from the industry's leading brands including Germ-X, Windsor Karcher, Tork USA, Filmop, and U S Chemical. We also understand the janitorial/sanitary maintenance industry's commitment to environmentally-responsible products and practices. Regional supports our jan/san customers by offering a valuable selection of green products and assists with the development of sustainable practices to promote and advance your green cleaning initiatives. VIDEO: ISSA The Value of Clean [Infographic] - See how proper and attentive cleaning is an investment in human health, the environment, and an improved bottom line and customer experience! Below lists only some of the wide range of janitorial and sanitary maintenance supplies we deliver. Order online or contact us directly if you're looking for something specific! Paying attention to small details can create an exceptional restroom experience and increase customer loyalty. 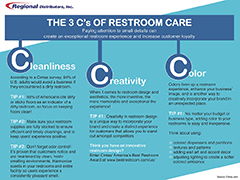 Learn the Three C's of Restroom Care and simple tips to apply each. According to a Cintas survey, 94% of U.S. adults would avoid a business if they encountered a dirty restroom. 93% of Americans cite sticky or dirty floors as an indicator of a dirty restroom, so focus on keeping floors clean. Make sure your restroom supplies are fully stocked to ensure efficient and timely cleanings, and to keep users’ experience positive. Don’t forget odor control! 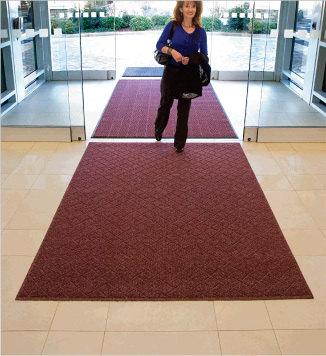 It’s proven that customers notice and are heartened by clean, fresh-smelling environments. In restaurants, a recent Harris Interactive Poll found that unpleasant odor is the number 2 reason that prevents patrons from returning to an establishment, despite cleanliness in other areas, and 94% of adults aged 55+ indicated that odor contributed to their perception of a dirty restroom. 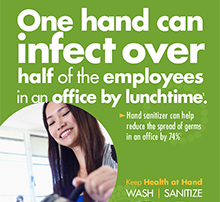 Harmonize scents in your restrooms and entire facility so users experience a consistently pleasant smell. Consider gender when selecting scents - earthy and aquatic scents for men, and floral scents for women. For a gender-neutral scent, try linen, citrus, and spices. Gender-neutral scents can also minimize fragrance overload and help lead to harmony throughout the building. When it comes to restroom design and aesthetics, the more inventive, the more memorable and exceptional the experience! Creativity in restroom design is a unique way to incorporate your brand and create a distinct experience for customers that allows you to stand out amongst competitors. Colors liven up a restroom experience, enhance your image, and is another way to creatively incorporate your brand in an unexpected place. 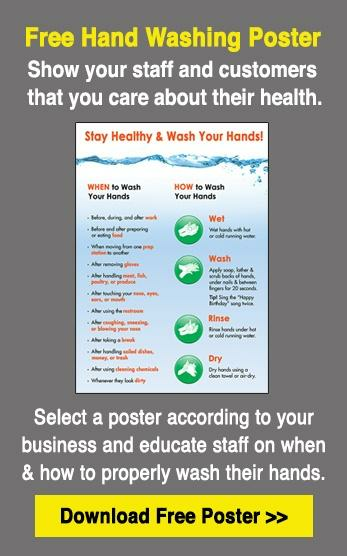 Contact us to schedule an assessment on how to optimize your restroom cleaning program. Regional Distributors, Inc. is proud to be one of the few distributors of Filmop products and equipment in Western NY and the Albany area. Filmop is a premium, second-to-none brand based out of Veneto, Italy and is a leader in the professional cleaning field due to their advanced technologies that significantly reduce labor costs. an alternative to metal materials, such as polypropylene that is extremely strong, yet light and completely recyclable. separation between clean water and rinsing water, a fundamental issue for professional cleaning. Using dirty water: 1) recontaminates floors with grease and soil and causes an unsafe, slippery environment 2) may discolor floor finishes and 3) foot traffic from floors washed with dirty rinse water may cross-contaminate carpeted floors leading to a more involved floor care process. Did you know? According to a Cintas/Yelp survey, the #1 complaint from restaurant customers is, “There’s food and grease all over the floors!” Try a dual-chamber mop bucket that separates clean water from dirty rinse water and saves water, chemical usage, and costs. Microfiber cloths have grooves built into the fibers making them super absorbent allowing dirt and soils to be picked up very quickly and held in the fibers efficiently. 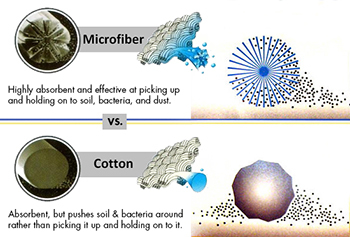 Although cotton is also highly absorbent, microfiber is proven to be more effective at grabbing and holding onto soil and bacteria rather than cotton that can simply wipe soil and bacteria around. large pad and mop head surface area that reduces labor by allowing a 12” or 16” area to be cleaned in one swipe. washable, reusable, soft, non-abrasive microfiber pads that reduce waste and are securely & easily attached with velcro strips. works on any flat surface including windows, mirrors, tables, cabinets, counters, glass, granite, stainless steel, laminate, marble, ceramic, tiles, wood, etc. ergonomic cleaning systems that make work easier and safer for operators in the field. Did You Know? Switching to a premium brand such as Filmop may help you significantly reduce floor mop usage. Staff at a leading local hospital made the switch and went from seven pads per patient room to only two pads! 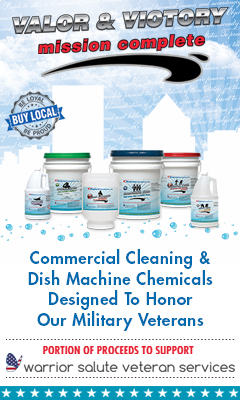 Contact us for a demo and to experience how Filmop products are changing the professional cleaning industry. VIDEO: Watch how Filmop products maximize productivity, increase efficiency, and enhance sanitation. Visit our Filmop YouTube Playlist for more training videos. PERFECT FOR DAYTIME CLEANING - superior mobility, extremely lightweight, low noise levels, powerful suction, 99.97% filtration efficiency for improved air quality. "It is obvious to us that everyone at Regional Distributors is truly dedicated to ensuring their customers are fully satisfied. No matter what we have needed, whether it is products or services, we can always depend on prompt and reliable service. When we had a challenging cleaning situation, our salesperson Mary Lou Taylor worked with us bringing samples and conducting equipment demos until we were able to find the right solution. In short, the services provided to us by Regional have been outstanding."